He will handle strategy and execution for the e-tail segment, as well as for Lenovo's own online store. Lenovo India has announced the appointment of Shailendra Katyal as director - e-commerce, strategy and analytics. In his new role, Katyal will oversee strategy and execution for the e-tail segment, as well as Lenovo's own online store. He will report to Rahul Agarwal, managing director, Lenovo India. He will also represent Lenovo Asia Pacific to build the right online strategy. Announcing the appointment, Rahul Agarwal, managing director, Lenovo India, says, "We are pleased to appoint Shailendra in this role. He has a proven track record over the years and has contributed immensely to the company's success in India. The Home and Small Business (HSB) has seen significant growth under his leadership. In his new role, Shailendra will also head strategy for Lenovo. Lenovo is diversifying dramatically to emerge as a technology leader, and, in the journey to achieve this, Shailendra will work closely with me to identify key areas of growth and build capabilities for sustained market leadership. 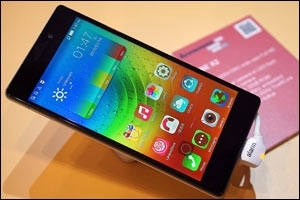 This appointment reiterates that Lenovo is increasingly focussing on growing its presence in the e-commerce segment." Katyal has been heading the HSB unit for Lenovo India and South Asia for the past two years. In this role, Shailendra was responsible for driving the growth of Consumer and SOHO segments. 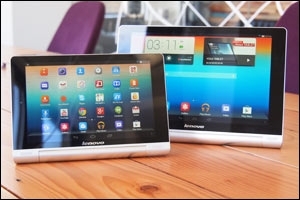 He also led the successful launch of the Lenovo Tablet portfolio. Prior to this position, Shailendra led the marketing function of Lenovo India for over two years. In this role, he spearheaded the launch of the new positioning and anchored the brand transition to new categories (Tablets & Phones). He comes with 16 years of industry experience, having earlier worked in the sales and marketing functions in the FMCG space. Lenovo is a $46 billion global Fortune 500 company and its portfolio includes PCs (including the Think and multimode Yoga brands), work stations, servers, storage, smart TVs and a family of mobile products like smartphones (including the Motorola brand), tablets and apps.